Mother’s Day is a holiday honoring motherhood that is observed in different forms throughout the world. This year it falls on Sunday, May 8th. What a perfect day to share with your Mom how much she means to you. You can tell her in a card, face to face or even send her an e-mail! To the best Mom in the World: Happy Mother’s Day! You deserve so much! I love you! You have always been by my side. I love you! Happy Mother’s Day! You have taught me so many things. Thank you for everything you do, I love you and hope you have a great Mother’s Day. I could bring you flowers or gifts but nothing in this world can truly show how much I love and care for you. Happy Mother’s Day! You are by far the greatest Mom in the whole world. Happy Mother’s Day. Happy Mother’s Day to my beautiful, loving Mom! You are so sweet, I wanted to bake you a special treat! You always make me feel loved and important. Thanks for making me feel important even when you have so many other things to do. Happy Mother’s Day, and thank you. 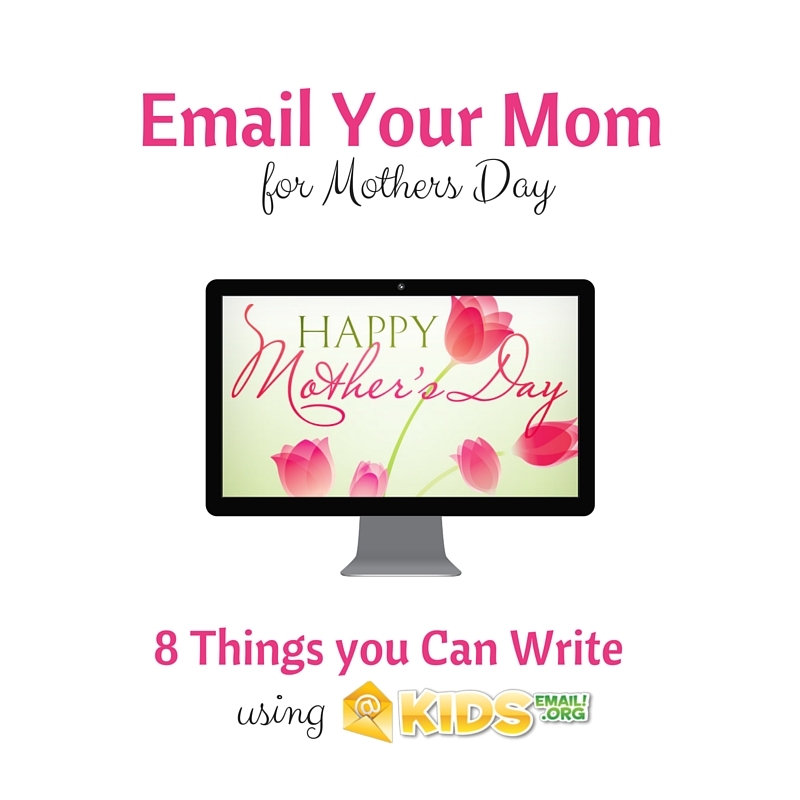 Show your child that they can share a sweet Mother’s Day message by sending a quick e-mail. Don’t have e-mail? Don’t fret, kids can use Kids Email to send this special message. You can sign up for a free trial here. Happy Mother’s Day from all of us at Kids Email! ← What Resources are Available for Parents of a Special Needs Child?